My latest style crush is fashion editor of Wonderland magazine - Julia Sarr-Jamois. If there is anyone who can pull off Prada psychedelic prints, it's her! 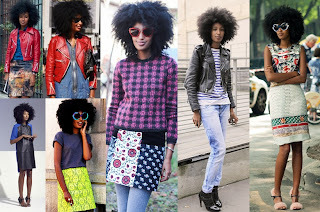 Love the hair and her knack to mix fabrics and prints. I want absolutely every item of clothing she ever steps out in!